In an effort to streamline the process of establishing a new or remodeled food service operation, the Health Department recommends the following set of steps to simplify the procedure and save you time. 01. _____ Check with appropriate local building and zoning department officials. 02. _____ Check with the Local Board of Health Secretary to determine their licensing requirements and fees. 03. 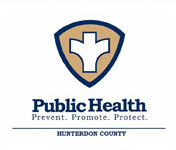 _____ Notify the Hunterdon County Health Department of your intent for construction - we are here to assist you. Provide documentation that the sewage generated by the proposed establishment will be discharged into public sewer system or an individual septic system on site. If the system is on site, a letter from a professional engineer certified in New Jersey must be submitted stating that the system is sized properly for the proposed use. If the establishment has 50 or more seats, a T-01 permit issued by NJDEP must be submitted with the plans. 05. _____ Submit detailed plans to us and local construction official for review prior to beginning any construction. Submit detailed plans to the Hunterdon County Department of Health and local construction official for review PRIOR to beginning any construction. 07. _____ Submit a proposed menu (if a new establishment) and completed Hunterdon County Health Department Construction Permit Referral Form along with a check for $15.00 made out to County of Hunterdon. 08. _____ When your plans have been approved, you may then secure your building permit. 09. _____ If establishment is new and has a well, contact a certified laboratory to arrange for bacterial test. See attached well fact sheet for additional requirements for non-residential water systems. 10. ____ Periodically check on construction to insure that the approved plans are being followed. 11. _____ When construction is completed, request a pre-opening inspection from the Health Department - at least 72 hours in advance of the proposed opening. This will allow us to identify any remaining items needing attention which could delay opening approval. 12. _____ Arrange for final opening inspection by Health Department. Ensure that appropriate license fees have been paid, and that construction official is aware of your planned opening and can issue a C.O.